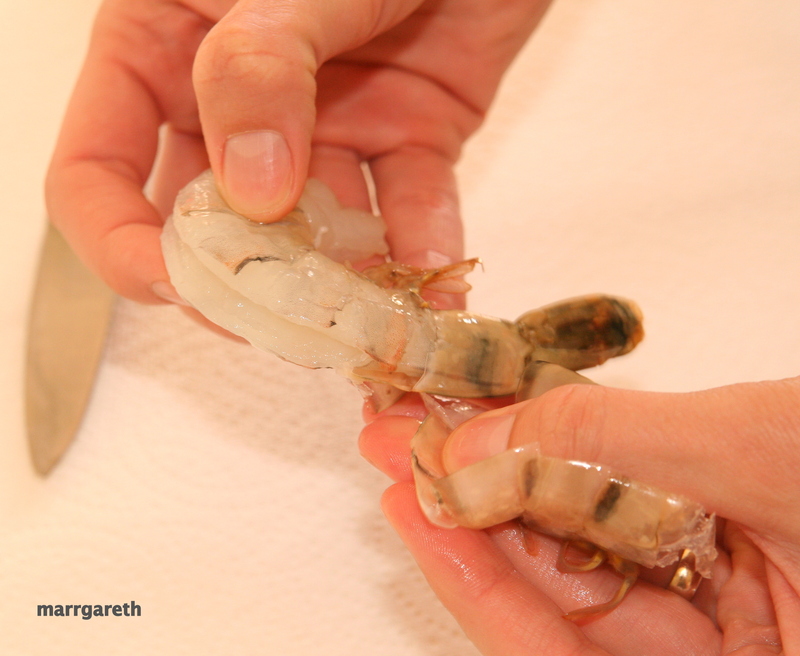 This tutorial is for those of you who did not have contact with shrimp or prawns before. There are many ways to prepare the shrimp, I decided to show you my way. If you are planing to buy some shrimp, try to avoid those which have been shelled, cooked and frozen, as they are often tasteless and watery and therefore a complete waste of money. Sometimes they actually have a really unpleasant taste and will ruin a nice meal. I defrost the shrimp completely before I start working on them. Rinse defrosted shrimp under cold water. To remove the shell with swimming legs hold the tail and then lift the shell upwards and away from the body. Shell should go away very easily. The tail can easily be removed by gently pulling it off. Both veins are in fact edible, but if eaten they can taste dirty so I like to remove them. The intestinal vein runs across the back of shrimp. To remove the intestinal vein from an abdomen, trace the line of the vein with the edge of a small, thin, sharp knife and draw the vein out. 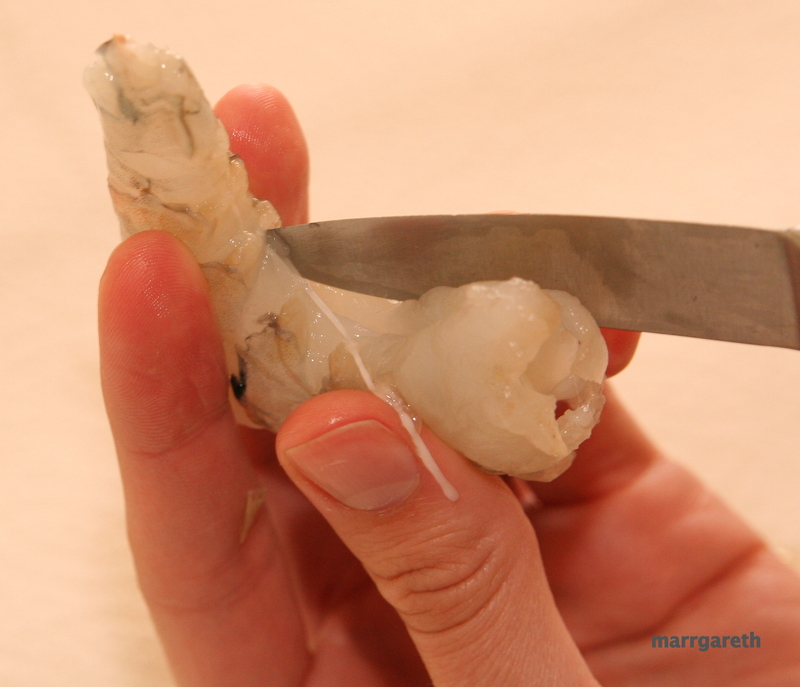 To remove the blood vein that runs across the bottom of shrimp, trace the line of the vein with the edge of the knife then draw the vein out like you did with the intestinal vein. Rinse the shrimp with cold water thoroughly. Now you can start preparing your meal. I hope I did help you.